How you present yourself to others in the business world speaks volumes. 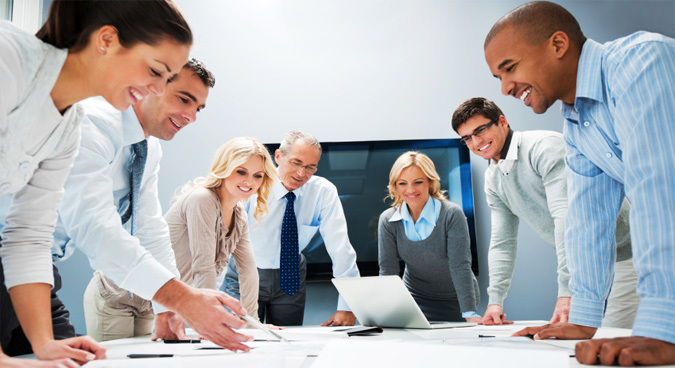 A workplace with rude, dismissive, or careless employees is one that is unproductive and unpleasant. This sort of behavior internally spills over to customers eventually, and an insulted customer can easily find someone else to replace your services. Good business etiquette practices start from the top down, but employees at every level can help promote good business etiquette. Whether face to face or virtual, if you’re the meeting for the first time, on time means at least five to ten minutes early. It’s crazy how often people on both sides of the invitation are late and say nothing about it. If you get held up and know you’re going to be delayed, a quick email or phone call can keep the person on the other end from feeling stood up. When there is a time factor in anything business related, from a deadline for a project or a meeting set to begin, don’t be late. It implies that you have things more pressing than your coworkers or clients, and more worthy of your attention. This applies to deadlines on projects as well as meetings or interviews. When dealing with your own employees, remember that every person in the company, from the CEO to the mail clerk, can affect every other person. Each employee’s job interconnects to other coworkers, and the person you may be dismissive of today could have information that is relevant to you tomorrow. Be careful how you speak to people, especially if they are a position beneath you. Kindness and courtesy count! 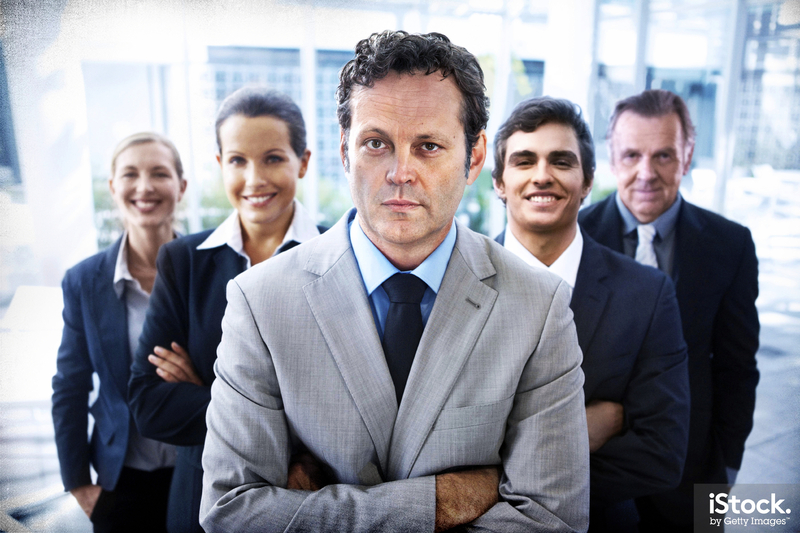 Don’t make judgments on people’s importance in the workplace. Talk to the maintenance staff members and to the people who perform many of the administrative support functions. These people deserve your respect just as the CEO does! When a meeting is necessary, be mindful of other attendees’ schedules, and ensure that you are prepared with any materials or information needed for the meeting topic. Thank attendees for their contributions, and send out a written record of what was discussed, with action items. A meeting that requires no action to be taken is a meeting that wasn’t necessary in the first place. Turn off your gadgets during meetings. Having the discipline to step away from distractions is refreshing. Of course, this really only works if everyone adheres to it. It’s difficult to make that happen, but when everyone is unplugged and focused, meetings are much more productive. The instant gratification of email can lead to careless use and unprofessional appearance. Take the same care in crafting email that you would for any published work, including spelling, punctuation, grammar and capitalization. Return phone calls and emails within 24 hours – even if only to say that you will provide requested information at a later date. Emails at work should be grammatically correct and free of spelling errors. They should not be treated like personal email. When emailing, use the subject box, and make sure it directly relates to what you are writing. This ensures ease in finding it later and a potentially faster response. Never say in an email anything you wouldn’t say to someone’s face. Underlining, italicizing, bolding, coloring, and changing font size can make a mild email message seem overly strong or aggressive. First, resist the urge to say something. When someone screams on the phone or in person, your first thought may be, “What a jerk!” But that attitude will only poison an already tenuous relationship with the caller. Instead, stay calm and listen. Let the caller vent. Like a whistling kettle, angry callers need to vent some steam. Never interrupt—even with a solution—before they tell their side of the story. Instead of raising your voice to match the caller’s volume, speak softly. That will soothe the speaker and show him or her that you’re interested in handling the complaint in a calm, rational way. Even in a casual environment, one should err on the side of caution. An unkempt appearance can imply to clients and coworkers that the situation, company, or people involved aren’t worth the effort to present yourself respectably. Follow your office dress code, perhaps dressing a step above the norm for your office. Your briefcase or bag and the things you carry in them say something about you. Messy items may also detract from the image you would like to present. Whether it’s a company-wide function or a team dinner, ask before inviting your significant other. Ask the host/coordinator of the event. Are spouses in or are they out? This is really an all-or-nothing thing. If it’s not been offered to everyone, it’s inconsiderate to assume that the company wants to pay for your spouse. Secondly, if you bring your significant other and nobody else does, talking shop feels awkward to everyone (your guest included), and that’s what business dinners are often about. As a general policy, if spouses/significant others are openly invited, absolutely go for it. If it’s not a group-wide invitation, fly solo. There is a time and place for confrontation, and a meeting or in front of customers is almost never that place. You will embarrass and anger other people, and you will look bad for doing it. Give people time and space outside of meetings to reflect on issues that need to be dealt with. Then invite them to speak with you privately about any issue that needs addressing. You may spend more waking hours in work spaces than in your own home. Keep your workspace professional and neat with appropriate personal touches! People will see the space and consider it a reflection of you. Remember to respect others’ space as well. Don’t “prairie dog.” Walk around the partition to see a neighbor, instead of popping your head over the top. And as you walk down the passageways, don’t peek into each workstation. Don’t just walk in; knock or make your presence gently known. Don’t assume acknowledgement of your presence is an invitation to sit down; wait until you are invited to do so. A good, well-timed handshake to pair with your smile is a sure way to stand out, whether you’re at the company picnic or an industry conference. 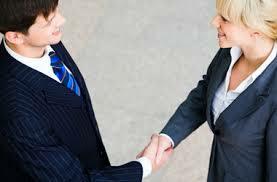 Research shows a prospective employee with the best handshake is more likely to get the job. 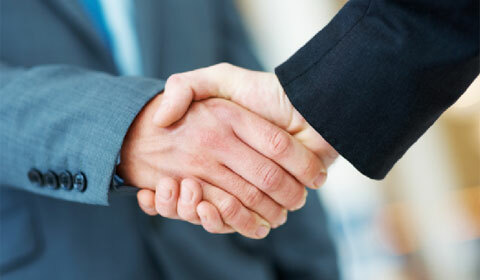 Even if you’re not a job-seeker, a good handshake will grant you instant rapport when meeting someone new. Whether you’re lunching with peers or prospective clients, business dining etiquette can keep you from marring your image with a faux pas. Never, ever talk with your mouth full. Instead, take small bites so you can quickly swallow if somebody asks you a question. It also doesn’t look as bad to people watching you eat. Come prepared with a few casual, non-business topics in mind. It helps you avoid awkward silences. People enjoy giving their thoughts on subjects like travel, sports, and movies. Just make sure to keep it small-talk related. Always be kind to the wait staff, no matter what happens. Anyone who is nice to you but nasty to the server is not a nice person. Put some thought into choosing the right restaurant. Too casual or inexpensive and the person may not feel valued. Too expensive and they may perceive you as wasteful. When in doubt, suggest that the other person pick the place. Following these tips will allow you to present yourself well in business situations, which in turn, spills over to better relationships with your employees, coworkers, and customers. 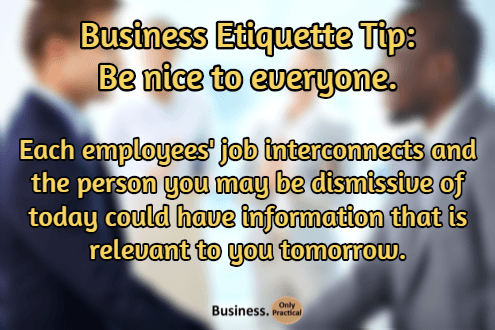 Help promote your business by following appropriate company etiquette in all business situations.